Recently, I've been making a conscious effort to eat a healthy breakfast everyday. I used to be one of those people who skipped breakfast. Now I don't know why I did it, as I have so much more energy in the mornings and can stay focused on tasks for longer. Yay for productivity! 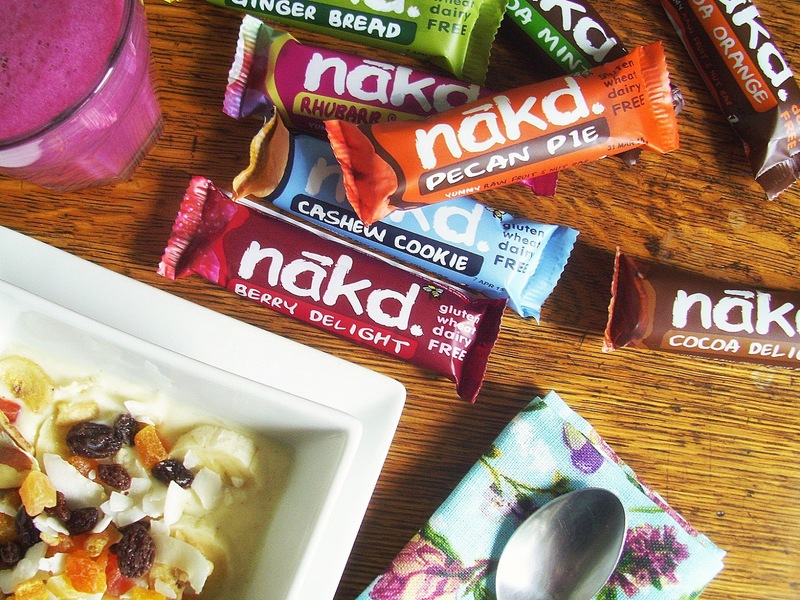 I've found that Nakd bars are also great if you're craving some chocolate, or something sweet, during the day. I keep an emergency one in my handbag as they're so much better for you - they mostly just contain raw nuts and fruit. They've made the transition to a healthier lifestyle so easy. Tweet me if you have any more healthy breakfast ideas! I've heard a lot about the nakd bars, I'm thinking of maybe doing the 5:2 diet soon so these could be a winner!